How ‘Nuseir Yassin’ Message of Positivity Stems From Privilege In His Vlog ‘Nas Daily’? Clearly, social media can be used to reach out to people around the world. But it does not eradicate privilege, nor replace the need for grassroots work to effect social and political change. 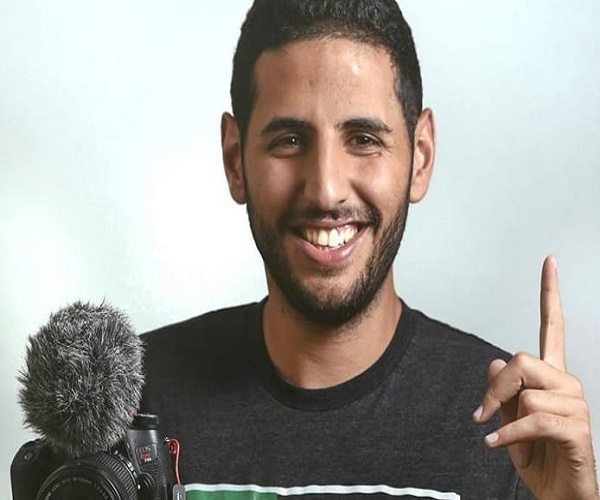 Every day for 1,000 days, 26-year-old Palestinian vlogger Nuseir Yassin published a “one-minute video” on his popular Facebook channel, Nas Daily, sharing his ideas with 11 million followers as he traversed the globe. Now the project has come to an end, his success seems to show how social media can provide a platform for ordinary people – a tribute to the rise of citizen journalism over the past decade. Like many other young people today, Yassin began this project in search of a more meaningful life. He described his previous job as a software engineer as “overpaid” and “not satisfying enough”. Coming from a Palestinian background, Yassin seeks to provide a different perspective in an overwhelmingly white vlogosphere, representing a region that has long been misunderstood by the West. Viewers clearly like the informality and “realness” of the reportage Yassin has produced: his content can be entertaining, uplifting and on occasion, explicitly political. But a closer look at Yassin’s background and the content of his stories reveals how wealth and power can influence citizen journalism, and raises questions about whose voices really get heard around the world, via social media. Yassin undoubtedly represents the most privileged of the Palestinian Arabs: those who reside within Israel, rather than the Palestinian territories of the West Bank and Gaza. His Harvard education and previous high-income career allowed him to begin Nas Daily with a substantial nest egg, and his career has benefited from partnerships with corporations such as Facebook, which pay content creators to run ads before or during their videos. This privilege has a direct impact on Yassin’s take on one of the most personal and controversial political issues he addresses in his videos: the Arab-Israeli conflict. His basic message regarding this issue, is that both sides of the Arab-Israeli conflict are to blame and that people need to “move on”. This equalising headline overlooks decades of illegal Israeli occupation and the fundamentally asymmetric power dynamic between Israel and Palestine. Yassin’s critics highlight that while he has aired his personal grievances about being restricted travel to Kuwait simply because he was born in Israel, he makes little mention in his videos of the millions of Palestinian refugees who do not hold a passport, nor those living in what has been described as the world’s largest open air prison – the Gaza strip. Yassin refers to himself and his viewers as “moderates”, and seems convinced that the conflict between Israel and Palestine could be resolved if more people understood both sides. But it is only because of his privilege that he is able to assume this position – and broadcast it to millions of viewers via social media. It’s clear that there are serious limits to the power which social media has to propel underprivileged or minority voices onto the global stage. These limits were also showcased during Egypt’s “Arab Spring”. For example, the most important Egyptian Facebook page during the 2011 uprising – called We are all Khaled Said, after the 28-year-old man whose death in custody helped to incite the revolution – was administered by Wael Ghonim, Google’s head of marketing for the Middle East and North Africa. According to an interview with Wael, when he was arrested by Egyptian security forces, Google helped to secure his release, highlighting the power of international figures and corporations in mediating this space. As Egyptian activist Ahmed Maher put it: “Wael’s role was to help market the revolution digitally.” But, for most Egyptians, the real protests happened on the streets, and thousands of poorer, less connected and privileged Egyptians were not spared the worst of the state’s brutality. Clearly, social media can be used to reach out to people around the world, and challenge more traditional forms of state power. But it does not eradicate privilege, nor replace the need for grassroots work to effect social and political change. In Yassin’s defence, the 26-year-old clearly did not begin his endeavour with overtly political aspirations: he simply wanted to live a good life and encourage others to do the same. And that is his prerogative. But his presence on the global stage is inherently political, not least because of how he has framed his contribution as a representative of an exceptional minority group. Previous articleWhy TRS Working President ‘KTR’ Deserves ‘Kudos’ From Telengana Youth And Leaders?